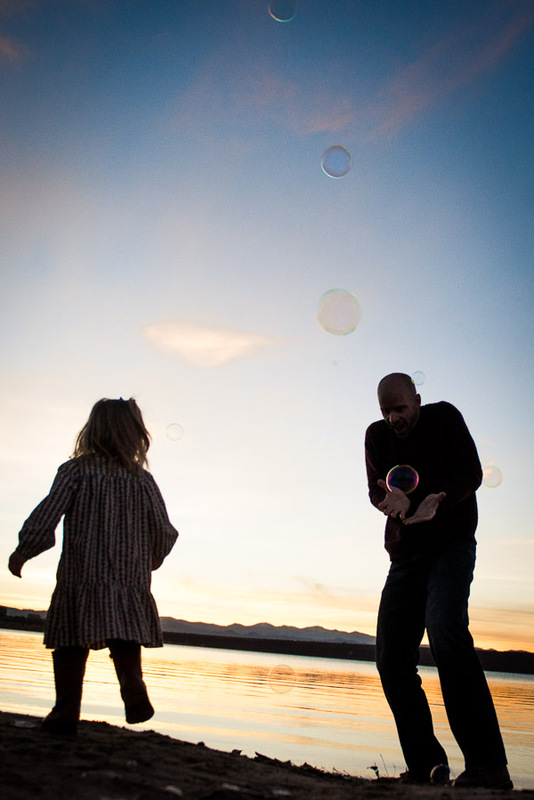 Silhouette on a beach of man catching a bubble and his daughter in the foreground. Father's Day is this weekend. I feel so grateful that I am in a profession that honors the people who are raising the next generation of our society. We can show them with cheese faces and a paper background, or I can make an image that says something about a family. Here's a dad who seems to be showing the wonder of bubbles. He's joyously capturing the magic of a bubble to hand it to his daughter who is running toward him. This is the kind of family photo I think everyone should have.